LCD codes Status messages | WIC Reset Utility. Reset the Waste Ink Pad Counters by WIC. If you see an error code on the LCD, see the solutions here to troubleshoot it. Can be used for all printers with LCD monitor TX-series, PX-series, XP-series, L-series etc. 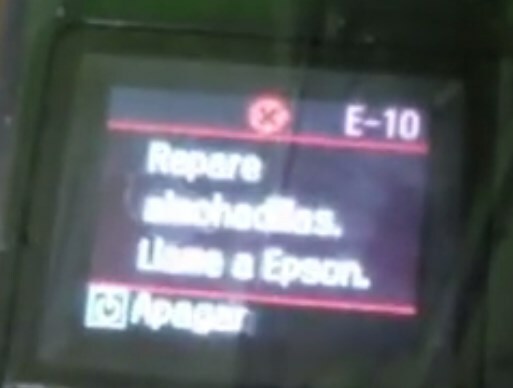 E-01 A fatal printer error has occurred. Turn the product off and then back on again. If the error continues, check for a paper jam. If there is no paper jam, read possible solutions here or contact Epson for support. E-02 A fatal scanner error has occurred. Turn the product off and then back on again. If the error continues, read possible solutions here or contact Epson for support. E-10 An ink pad needs service. The ink pad is at the end of its service life. You have to reset Waste Ink Counters in Your printer. E-11 An ink pad needs service. The ink pad is at the end of its service life. W-12 Ink cartridges are installed incorrectly. Press down each of the ink cartridges gently to make sure they are installed correctly. W-13 An ink cartridge indicated on the LCD screen is not recognized. Replace the ink cartridge. Epson recommends using genuine Epson ink cartridges. I-22 To establish a wireless connection using an access point, press the button on the access point or click the button on the access point’s wireless settings screen displayed on your computer screen. I-23 Enter the PIN code displayed on the LCD screen into the access point or computer within two minutes. If you wait longer than two minutes, a time-out error occurs, the code changes, and you must enter a new code. I-31 To make wireless connection settings from your computer, insert your product CD into your computer and follow the on-screen instructions. I-41 The Paper Configuration setting must be turned on to use AirPrint. I-60 Your computer may not support WSD (Web Services for Devices). The Scan to PC (WSD) function is available only for computers running English versions of Windows 8.x, Windows 7, or Windows Vista. Recovery mode An error has occurred during firmware updating. Connect your product using a USB cable and try updating the firmware again. Read here for solution – My product is stuck in Recovery Mode. What can I do?. Note: The ink pads in the Epson printers collect, distribute, and contain the ink that is not used on printed pages. During the life of the printer it may reach a condition where either satisfactory print quality cannot be maintained or the ink pads have reached the end of their usable life. The Epson Status Monitor, LCD monitor on printer, or lights on the control panel will advise you when these parts need replacing. If this happens during the standard warranty of the product, the exchange of the printer or replacement of the pads is covered under the standard warranty. If the product is out of warranty, the pads can be replaced by any service center. 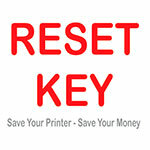 The waste ink counters can be reset by WIC Reset Utility. « How to reset Epson L380 Waste Ink Counter?